The Regional Municipality of Peel serves 1.3 million residents and approximately 88,000 business is in Brampton, Caledon and Mississauga. It is the second largest municipality in Ontario, next to Toronto. The Airport Road Reservoir and Pumping Station supplies three large and rapidly growing regions on Ontario with adequate and safe drinking water. It was designed and built in 2005 to meet supply needs for the next few years, but also with the ability to be easily upgraded to large capacities in order to keep pace with the region’s rapidly increasing population. The Beckett Sproule Pumping Station secures water supply for the Airport Road station. In 2010 the Region was seeking pumps with impressive hydraulic efficiencies for its new Beckett Sproule Pumping Station. KSB was chose as the successful bidder, and supplied 6 of their highly engineered RDLO axially split, single-state volute casing pumps. 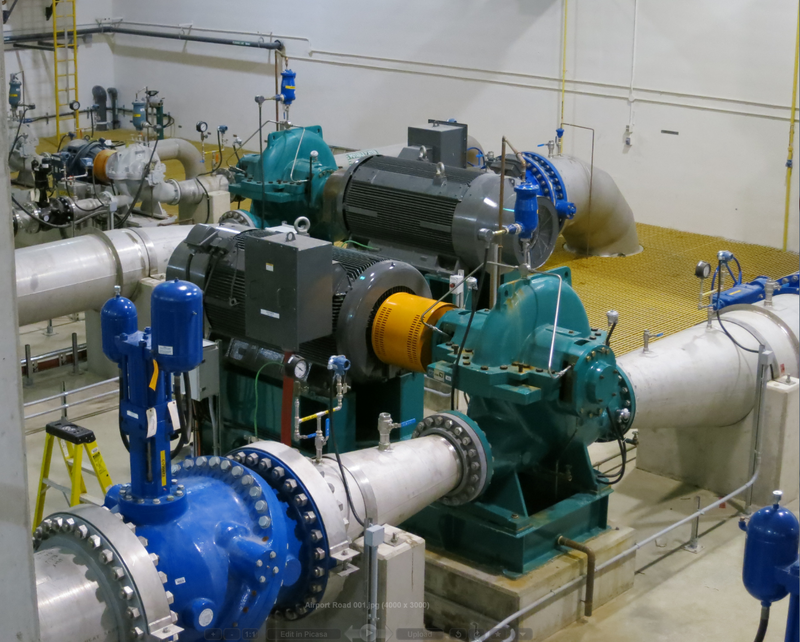 One year later, the Region was in need of more robust and efficient pumps, this time in order to increase capacity at the Airport Road Pumping Station. Once again, the decisions was made in favour of KSB’s reliable and efficient products, and another 6 RDLO pumps were supplied. RDLO pumps stand for top performance in water transport. They are versatile and allow maximum energy savings. During performance tests the pumps exhibited higher efficiencies than the values guaranteed at tender.